If recognition from her peers and students is any indication, 2012-13 was a banner academic year for Kara Dawson, UF associate professor in education technology, who has received two top university-wide awards for her research innovations and mentoring of doctoral students. Dawson was one of 34 faculty named by the University of Florida Research Foundation as UFRF Professors for 2013-2016. The honor goes to faculty who have a distinguished current record of research and a strong research agenda that is likely to lead to continuing distinction in their fields. She also is one of five recipients of UF’s Doctoral Dissertation Advisor/Mentoring Award, a tribute to her dedication and high standards of excellence in her support of graduate education and her sponsorship of student research. Former students describe Kara Dawson as a natural mentor, always ready to troubleshoot any problem and quick to offer encouragement. Wendy Drexler, now director of online development at Brown University, said she did not realize how special her relationship with her advisor was until her final semester of doctoral work, when she collaborated with doctoral students in other departments. “It soon became clear that I had a very special advisor who was mentoring me to become a successful future faculty member,” Drexler said. Drexler said Dawson helped her refine her skills and get exposure for her scholarly work. 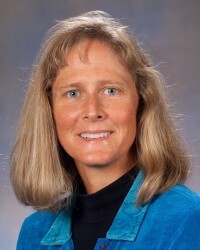 In fact, Dawson has co-authored more than 25 refereed articles and book chapters with her doctoral students, and all of her doctoral students have presented at conferences. Drexler said she credits Dawson with preparing her for the leadership position she is in today. Dawson said she makes a point of encouraging students to seek the advice and guidance of other faculty members and colleagues, in stark contrast to the historical one-to-one model of the student-mentor relationship. “I believe students should take full advantage of all the talent and resources around them,” Dawson said. Elizabeth Bondy, professor and director of the School of Teaching and Learning, said Dawson’s skill as a problem-solver helps her students navigate the challenging terrain of doctoral study. Dawson, she said, is a model mentor. “She is available. She is determined,” Bondy said. On the research side, Dawson and the other UFRF Professors were recommended for the honor by their college deans based on nominations from their department chairs. They had to show demonstrated evidence of recent research accomplishments as evidenced by publications in scholarly journals, external funding, honors and awards, development of intellectual property and other measures appropriate to their field of expertise. Dawson studies the innovative ways that technology can impact teaching and learning in K-12 classrooms, higher education and virtual schooling. Not only is she preparing UF teaching students for the increased role that online learning is playing in contemporary education, she’s also working to make educational technologies a pervasive part of the learning experience in all public school classrooms. She belongs to a statewide council of education technology leaders from school districts and recently led a study of the impact on student achievement and teaching practices of the federal grant entitlement program known as Enhancing Education through Technology, part of the No Child Left Behind program. The research involved nearly 1,800 teachers in nearly 300 schools within 33 Florida districts. Dawson also focuses part of her work on the practices and impact of online teaching and learning in higher-education settings. She helped develop one of the first online professional-practice doctoral degree programs in the nation and has published several research articles on the program. The prestigious three-year UFRF award she received includes a $5,000 annual salary supplement and a one-time $3,000 grant. UFRF professorships are funded from the university’s share of royalty and licensing income on UF-generated products.